Leading Wholesale Trader of cag 14 cag 34 em relays, vacuum/sf6 circuit breakers, vajh vajs vajhm tripping relays and electromagnetic relays from New Delhi. CAG14 relay is applied for high impedance restricted earth fault protection of generator, transformer, reactor and bus bars. 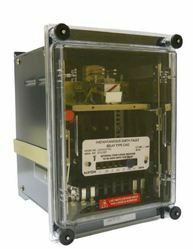 It is also used with a follower timer for time-delayed earth fault protection. 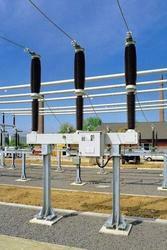 Other applications include capacitor bank unbalance protection, generator inter-turn fault protection etc. Used in medium voltage network applications, in new installations or renovation, for utilities companies, infrastructures, the process industry and other sector. It provides protection for all types of applications: cables, overhead lines, motors, capacitors, transformers, source bus bar sections, etc. 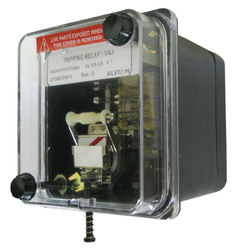 The VAJ range comprises very reliable hinged armature relays designed to directly operate circuit breaker trip coils. Built to very high specifications, the VAJ range provides a highly flexible and reliable link between the protective relays and the circuit breakers. 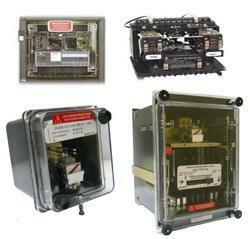 High speed tripping duties where a number of simultaneous switching operations are required. We are an illustrious supplier and trader of precisely fabricated and designed a quality-assured array of Power Relay at our vendor end. These products are available in varied electrical specifications as per the needs and demands of our customers. Moreover, these relays are available at market leading prices.